Those who have not viewed "The genesis No. 1 (Part One, Part Two, Part Three, and Part Four), and The genesis No. 2 (Part One) should go through them before going into "The genesis No. 2 (Part Two)" below. We must consider the reasons leading to Japan's decision to initiate attack on USA, specifically Pearl Harbor attack. However, those reasons have been successfully erased to make the people in the world believe that Japan was the only nation fully responsible for the Pacific War. 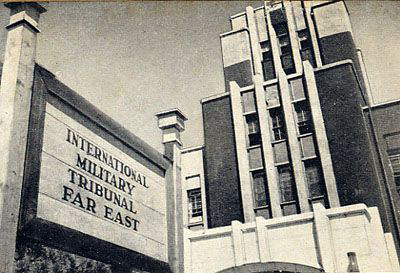 One of the tools employed by the United States of America was the International Military Tribunal for the Far East (IMTFE), well-known in Japan as 東京裁判 Tokyo Saiban, literally meaning Tokyo Trials by which U.S. seems to have successfully convinced the world by fudging the issues, thereby producing the image of Japan as an evil state. Just suppose if forty-seven Samurais as you might have already watched, begins with revenge in which 47 Samurais storm into the enemy's mansion, killing everyone they encounter. You probably get an impression that 47 Samurais are just killers. As every Japanese knows, there is in fact the reason leading to revenge they executed. Watch this video clearly summarizing the whole story of the revenge carried out by 47 Samurais. The story based on a true history begins in 1701. The Shogun Tokugawa Tsunayoshi oders Asano Takumi-no-kami Naganori, Lord of Ako clan to assume responsibility for carrying out a reception of envoys from the Imperial Court in Kyoto. Kira Kozuke-no-suke Yoshinaka in charge of protocol is appointed to instruct Asano on how to organize and to execute the ceremonies. However, Kira repeatedly insults Asano while instructing him on how to receive the envoys from the Imperial Court in Kyoto in such a manner as to publicly humiliate him partly because Asano is the Lord in the remote area. Asano has long endured humiliation but has finally bursted into anger, trying to kill Kira at Edo Castle where every one is strictly prohibited to draw a sword. For this reason, he is ordered to commit Setsupuku by the Shogunate. Not only the territories of the Asano clan are confiscated but also the Asano clan is abolished by the Shogunate. Nearly two years later, Oishi Kuranosuke Yoshio organizes a group of 47 Samurais and executes a revenge against Kira. They walk all the way to the grave of the late Asano, reporting that they successfully revenged against Kira. They then turn themselves in to the authorities and are ordered to commit Setsupuku. During the Occupation of Japan, GHQ banned performances of the story "Chushingura", charging Japan with promoting feudal values. The Pacific War ended on August 15, 1945. U.S. occupation troops that advanced into Japan in September, soon forcibly executed in a very subtle manner its occupation program named "War Guilt Information Program" solely designed to weaken Japan and its people. Therefore, the people would be eventually brainwashed to believe that Japan has been given democracy by U.S. and that the pre-war Japan was an evil state where the people lived in darkness. It is a huge lie made by U.S., designed to make the people believe that the Japanese nationals should feel satisfied over the defeat of their own Imperial Japan. Civil Censorship Detachment had approximately 6,500 staff, 5,100 of whom were the Japanese part-time staff, mostly the young Japanese highly skilled in English. The Japanese part-time staff were given a guideline restricting them not to criticize U.S. and Allied nations, not to praise Japan and the Imperial Japanese forces. Simply speaking, just praise U.S. while criticizing Japan for whatever it is. Based upon the guideline, U.S. began its absolute censorship over all media, which were strictly instructed by GHQ not to mention that they were placed under censorship and would be banned if violated. The Asahi Shinbun (one of the major Japanese newspapers) was banned for two days from September 18 to September 19 in 1945 because it violated the instruction given by GHQ. Those part-time Japanese staff were paid annual salary of JPN 30,000 when presidents of the major banks were paid only JPN 20,000. At the same time, they were strictly instructed not to discuss what they were doing in the office at all and not to show any sympathy to those who were found to be critical of U.S. and particularly not to overlook any comments praising Japan for its acts during the war. A majority of the Japanese part-time staff inevitably had to accept those instructions because almost every Japanese had hard time surviving the post war situation created by U.S. It is nothing more than suppression of free speech by General MacArthur, definitely proving that U.S.'s claim over having successfully nurtured democracy in Japan where no democracy existed was just a big lie. The United States of America burned all the books describing the white-ruled nations as having colonized Asia and Africa where they had practiced slavery in their colonies for four hundred years. Those books amounted to be more than 7,000 in kinds were completely burned into ashes. They also burned the books describing what Japan had done in the Asian nations such as Korea, Manchuria, etc. If you could read those books, you would fully understand immediately a clear difference between what we had achieved in Asia and how the white-ruled nations had exploited the people in Asia and in Africa. For an example, the first thing Japan did in Taiwan, Korea, etc. was to establish the educational system and to improve their educational level. On the other hand, the western powers (the white-ruled nations) neglected education to the people they dominated in their colonies. While Japan improved infrastructure such as roads, bridges, railways, dams, power plants, schools, hospitals, etc., the western powers constantly neglected education in their colonies, fearing that once they got educated, they would resist them. One good example is a dam and 10,000 km long channels constructed in Taiwan by Mr. Youichiro Hatta, Ishikawa Prefecture. He is still remembered by the Taiwanese in such a manner as to conduct his memorial service on May 24, the date when he died. The annexation of Korea is often misinterpreted as colonization widely practiced in the world by the western powers. Japan's annexation can be defined as almost like merger of equals in business terms, thereby securing the equal rights to the Koreans. Their life was totally different from those living in the western colonies. I remember Korean Lieutenant General Hon Saeku and Lieutenant General Kuribayashi known for Iwo Jima battle were graduates of the same class at the Japanese Military Academy. The Koreans were in fact admitted to the military academy, thus producing high-ranking Korean officers who commanded the lower-ranking Japanese soldiers. Some Korean officers later became Generals. Lieutenant General Hon Saeku was charged with ill-treatment of POWs and sentenced to death for what he did not do at all at the Philippines Military Tribunal. He was however told that his life can be saved because he is Korean. He flatly refused it and said "I am Lieutenant General of the Imperial Japanese Army." Japan established 9 Imperial Universities (7 in Japan, 1 in Korea and 1 in Taiwan) in those days. Two Imperial Universities in Korea and Taiwan were opened even before Osaka and Nagoya Imperial Universities were established. Why did Japan establish those universities even before Osaka and Nagoya Imperial Universities were opened? To contribute to the improvement in their educational levels. China often calls Japan "an aggressor" and blames Japan for "the massacre in Nanjing". Japan for the first time placed its forces in Peking (now called Beijing) in 1901. The reason why Japan sent its forces to Peking was that the British, a major power in China in those days strongly and repeatedly demanded Japan to dispatch its forces to deal with the Boxer Rebellion threatening the existence of the western missions, etc. because Japan was geographically the closest to China among the major powers. Japan in the beginning refused its repeated demand but finally accepted the sending of Japanese troops to China. 10,000 troops were dispatched to join other 10,000 foreign troops, thereby forming multi-national forces. Peking was liberated from the Righteous Harmony Society Movement (pro-nationalist movement opposing the western imperialism and Christianity) mainly by the Japanese forces. Japan afterwards pulled out of China with the smallest reparation among the allied nations from China. Under any circumstances, China was obliged to protect the foreign delegations and their families against uprisings. However, Empress Dowager Cixi supported anti-foreign bands and made a formal declaration of war on the European powers. After China was defeated, the Boxer Protocol (also known as the Treaty of 1901 and Peace Agreement between the Great Powers and China) was signed on September 7, 1901 not to repeat the same incident, thereby allowing the allied powers to protect their diplomatic missions and their families, etc with their own forces stationed in some designated areas. Based on the Protocol, Japan stationed a few thousands soldiers in Peking in order to provide the protection to the Japanese delegation, etc. They were not occupation troops at all but they could be considered as the troops similar to the American troops now stationed in Japan under the Japan-US Security Treaty. 36 years later, when the Marco Polo Bridge Incident (盧溝橋事件Rokoukyou jikenn in Japanese) happened on July 7, 1937 at night. Although some leftists regard the incident as initiated by Japan, how it really started has been found to be entirely different from what those leftists have long insisted on. The Japanese troops stationed to protect the Japanese delegation, etc. under the Boxer Protocol were conducting the military drill not carrying live ammunition with them at that night. The military drill with no live ammunition should serve as an evidence that Japan had no intention to invade China at all. Nevertheless, the Japanese troops encountered shootings from the unknown gunmen whom they immediately attempted to specify by verifying if some of the Japanese troops fired live ammunition. They soon found that none of them had live ammunition with them at all as ordered to do so. Then, they requested the Chinese troops to investigate the case of shooting at the Japanese troops. The Chinese troops replied "act accordingly" to the Japanese request. But, somebody repeatedly shot at the Japanese troops. At dawn, the Japanese troops with no cover were completely exposed to the Chinese troops and had no option but to fire back at the Chinese troops to defend themselves while negotiating with the Chinese troops on ceasefire. Three days later, both the Japanese troops and the Chinese troops agreed on ceasefire, thereby making the Japanese troops feel relieved. However, the Japanese troops faced terrorism, killing many Japanese soldiers. On July 29, 219 Japanese civilians were brutally murdered at the outskirt of Peking. They were all tortured and killed by gouging out the eyes, cracking heads, slashing noses, gouging out intestines, cutting off penises, cutting off breasts, etc. These are the Chinese ways of killing the people. Still, the Japanese troops continued to negotiate with the Chinese troops on ceasefire, trying to avoid further conflicts with China. While ceasefire talk was going on, the Chinese troops never stopped terrorism at all, killing Lieutenant Oyama, etc. On August 13, the terrorism had finally spread to Shanghai, triggering the Second Shanghai Incident in which the Chinese troops executed a large scale aerial bombardment on the Japanese concession where many Japanese civilians were killed. The Government of Japan finally decided to fight back against China, fully realizing that there remained no other option for Japan. Every effort exerted to achieve ceasefire with China from July 7 to August 15 ended fruitless when the Japan's concession was deliberately and suddenly attacked by the China. As you recall, the Russian revolution in 1917 led to the establishment of Comintern abbreviated for Communist International headquartered in Moscow in 1919. The Comintern took advantage of the fact that Chiang's Nationalists force had engaged in a long standing civil war with the Mao's Chinese Communist force. However, as the Mao's Chinese Communist force was on a verge of collapse, the Comintern was to help the Chinese Communist forces headed by Mao Zedong seize control over the entire China when Chiang's Nationalists force would exhaust itself by having the Nationalists force fight against the Japanese troops. Therefore, no matter how much Japan tried to negotiate with the China over ceasefire, the Chinese troops fully controlled by the Comintern had kept attacking the Japanese troops. On December, 1936, Chiang Kai-Shek noticed that Zhang Xueliang, son of Zhang Zuolin was reluctant to fight against the Mao's army near Peking, ignoring his order. Chiang Kai-Sek himself went to see Zhang Xueliang to find out why he was not fighting at all. However, since Zhang Xueliang was already sided with the Comintern, he arrested Chiang Kai-Sek. The arrest of Chiang made Mao so happy. However, Stalin told Mao not to kill Chiang because Stalin considered him useful and effective in fighting against Japan. Therefore, Chiang Kai-Sek and his son, Chiang Ching-kuo-earlier abducted by the Comintern-who had stayed in Moscow for 11 years were released by the Comintern. Mr. Tamogami assumes that there was some kind of deal between Chiang Kai-Sek and the Soviet Communist Party, in which Chiang and his son, Chiang Ching-kuo would be saved only if they promised to join Mao's army in fighting against Japan. Chian Kai-Shek was in fact educated at Imperial Japanese Army Academy and trained at Takada Artillery Regiment for three years. He was a pro-Japan, however, he had to betray Japan because his life and his son's life were threatened at gunpoint. All the facts discussed so far clearly shows that Japan tried to avoid the war with China and that Japan was inevitably drawn into the war with China. Japan had to advance its troops toward Nanjing (the capital of China in those days) and four months later Nanjing fell on December 13, 1937. In regards to "Nanjing Massacre" China still claims that it had happened, killing of the enemy soldiers during fighting is not a massacre at all. Although China insists that 300,000 thousand civilians were murdered in Nanjing, the city of Nanjing was already widely open to the foreign countries and was full of foreign missions, foreign press, etc. Therefor, the city of Nanjing was always monitored by the foreign residents as evidenced in a case that in those days the Government of Japan immediately received a complaint about even a Japanese solider who slapped a Chinese woman. No complaint over any type of massacre in Nanjing in those days was ever received by the Government of Japan. "Nanjing Massacre" is a huge lie. Second Lieutenant of the Imperial Japanese Army, Mr. Shigeki Mori, father of ex-Prime Minister of Japan Mr. Mori participated in attack on Nanjing and clearly stated that massacre never happened there. Nanjing in those days was a size of Kamakura city (whose population as of December 1, 2008 is 173,472) in Kanagawa Prefecture, Japan. If more than 300, 000 Chinese civilians were killed in the city, there would be no room for anybody to move around at all. Therefore, the above alone proves that no massacre was executed by Japan at all. In 1955, 10 years after the end of "The Greater East Asia War" and three years after Japan regained its independence, the first Asian-African Conference proposed by President Sukarno was held in Bangdung, Indonesia, participated by 29 nations from Asia and Africa. 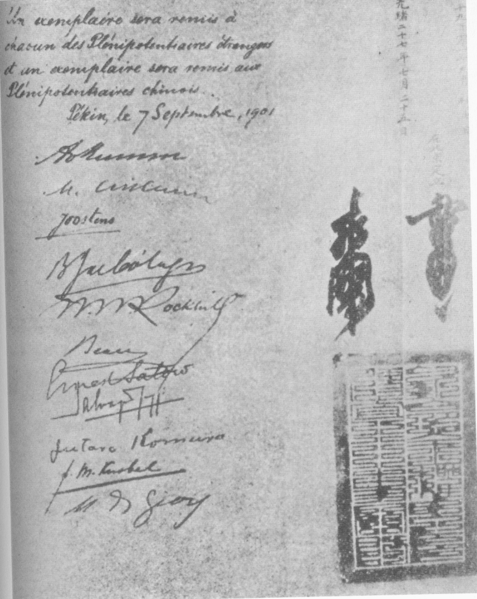 Those nations who participated in the conference emphasized that we must thank Japan for helping us become independent so as to make us speak on an equal footing with the white-ruled nations and that if Japan didn't sacrifice itself that much by fighting against the British, the Dutch, etc, we would still have remained colonized. They continued to say that what impressed us most is the first Greater Asia Co-prosperity Conference held in Tokyo, presided over by Prime Minister Hideki Tojo, in which he declared that all Asian nations would get united and would fight against the white-ruled nations. They all said that they well understood what Prime Minister Hideki Tojo declared at the conference and hoped that Japan would continue to work hard for the development of the Asian nations. Moreover, 29 participating nations include the People's Republic of China represented by Premier Zhou Enlai. Therefore, the Greater East Asia War (大東亜戦争Daitoua sensou) or The Pacific War (太平洋戦争Taiheiyou sensou) didn't begin with Pearl Harbor Attack but we must remember what had Japan go in the war with U.S.A. as it is the same as Chushingura didn't begin with attack on Kira. 14. Japan's relations with U.S. Regarding Japan's relations with the United States of America in those days (the white-ruled nation) , it executed its economic sanctions (oil embargo, the freezing of Japanese assets in U.S, etc.) against Japan, trying to put the screws on Japan to fight back. Pearl Harbor attack Japan executed was just a slap on a face and not more than that. Japan would soon be choked to death by the United States of America unless otherwise acted. Franklin D. Roosevelt was inaugurated president for his first term in 1933 and served four terms until he died in 1945 right before the Greater East Asia War was over. Harry Truman succeeded him. The Democratic Party was in power for 20 years until the Republican Party took over in 1953. When Franklin D. Roosevelt was running for the third term, there was widespread and strong isolationist sentiment among the general population in the United States. Franklin D. Roosevelt had to promise to his voters that there would be no involvement in foreign wars if he were re-elected. Before Pearl Harbor attack, England was on a verge of defeat as it had been attacked by the Nazi Germany, struggling to secure U.S. assistance by repeatedly sending its message to the U.S. Government. President Roosevelt was not in a position to declare war upon the Nazi Germany since he was re-elected by expressing his intention to do everything possible to keep the United States out of war. However, Roosevelt figured out that Japan, allied with the Nazi Germany, would most probably react in a form of militarily fighting back to U.S. in the Pacific if economic sanctions were imposed on Japan. Then, Japan was drawn into the war against the United States of America. Verona file (From 1940 to 1948, U.S. intercepted communications between the Comintern headquartered in Moscow and its agents reveals that more than three hundred Soviet agents connected with the Comintern were found to have worked within the F.D. 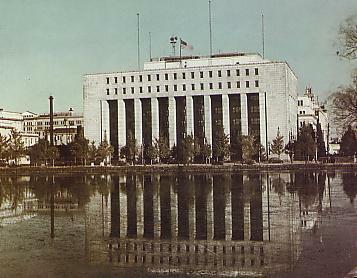 Roosevelt Administration. Harry Dexter White was said to have been a Soviet agent holding the highest position-Assistant to Henry Morgenthau, Jr, the Secretary of the Treasury to act as liaison between the Treasury and the State Department on all matters bearing on foreign relations-among more than three hundred agents. It is said that Harry Dexter White was the one who wrote Hull Note (taken as the U.S. ultimatum by Japan) for Cordell Hull, the Secretary of the State. Cordell Hull stated that there would be an outbreak of war between Japan and U.S. if such a note were submitted to Japan. Before he died on January 18, 1991, Hamilton Fish III wrote a memorandum saying that he was not informed of U.S. submission of Hull Note to Japan at all even though he was serving as a member of foreign relations committee in those days. At the time of Pearl Harbor attack, he decided to support interventionists because he was not aware of the Hull note submitted to Japan through a diplomatic channel. 2. Tragedic Deception written by Hamilton Fish III-a book Mr. Tamogami refers to in his lecture. Hamilton Fish III was a prominent opponent of United States intervention in foreign affairs, and a critic of President Franklin D. Roosevelt. 3. Harry Dexter White ( http://bit.ly/aGDu3w )-The communist agent Mr. Tamogami refers to in his lecture. The British Security Cooperation focused a great deal of effort attempting to influence Congressmen through front groups, campaigning, and agents of influence. In 1940, BSC agents ran the Nonpartisan Committee to Defeat Hamilton Fish in order to “put the fear of God into every isolationist senator and congressman.” The committee raised substantial sums of money for Fish’s opponent, coordinated several media attacks, created false charges of wrong doing just before elections, and helped distribute books charging Fish with disloyalty. The committee as much as possible tried to make attacks on Fish appear to originate from his district though historical documents indicate most attacks originated outside of his district. Fish survived the attack in 1940 but won his election with less than half the margin of victory he earned 2 years earlier. 6. Additional Information on Fabrication of "Nanjing Massacre"
6-3. The General Council of Trade Unions of Japan was the largest labor union before the end of the Greater East Asia War. 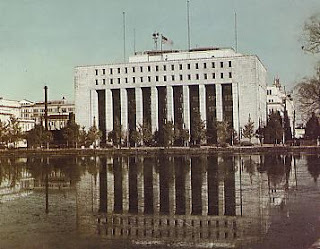 General Headquarters (called "GHQ" in Japan) headed by General Douglas MacArthur helped reorganize it with much emphasis on political aspects when established on July, 1950. Although at its inception, it was characterized by anti-communism, it soon turned into anti-U.S.A. , supporting the Japan Socialist Party. Then, an American officer in charge of labor union at GHQ was so upset about it and said "It's the lame duck organization." MacArthur was a brutal man.